An exciting opportunity for full and/or part time posts have arisen in the beautiful county of Shropshire in the Out-Patient Musculoskelatal Physiotherapy Department at The Shrewsbury and Telford Hospitals NHS Trust at the Shrewsbury hospital site. We are a motivated, forward thinking team, working closely with our Orthopaedic Consultants and GP's providing specialist physiotherapy to our patients. We are looking for an experienced team member, who is keen to lead in the development of our service with a special interest in spines. Are you an experienced musculoskeletal physiotherapist with a passion for delivering high quality patient care and improving services? We are looking for someone who is flexible, has good management and leadership skills, works well independently and in a team. You will need to have excellent knowledge, assessment and treatment skills for treating complex patients in a musculoskeletal out patient setting. You will be required to treat patients from both consultants and a GP service, including triage of referrals. We are a friendly forward thinking team working in a fast paced rewarding environment. 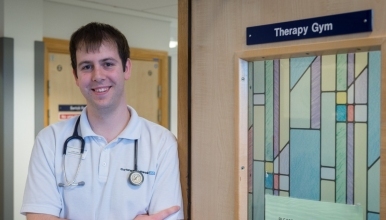 You will work closely with the wider multi disciplinary team therefore excellent inter-personal skills are required as well as working with the therapy team and therapy coordinator. We have a strong drive for personal and professional development , regular CPD and supervision. As a trust we are proud to work alongside the Virginia Mason Institute looking at Lean practice on a 5 year partnership.